For many Tetris players, the act of balancing daily Tetris sessions with work can be a real pain. What we do for work spans a plethora of categories from heading to the office each day, maintaining our grades as a full-time student, or for stay-at-home parents, taking care of our kids. Each example of work is important, and requires our utmost attention. Unfortunately, our daily work routines can become a real drag after a while. The days start to melt into one another. One moment it’s Friday night and you’re enjoying a late night Puyo Puyo Tetris session, and in the blink of an eye, it’s Monday again. To help spice up your work day, why not add a little Tetris into the mix? You’d be surprised at just how well your Tetris skills fit into your everyday activities! 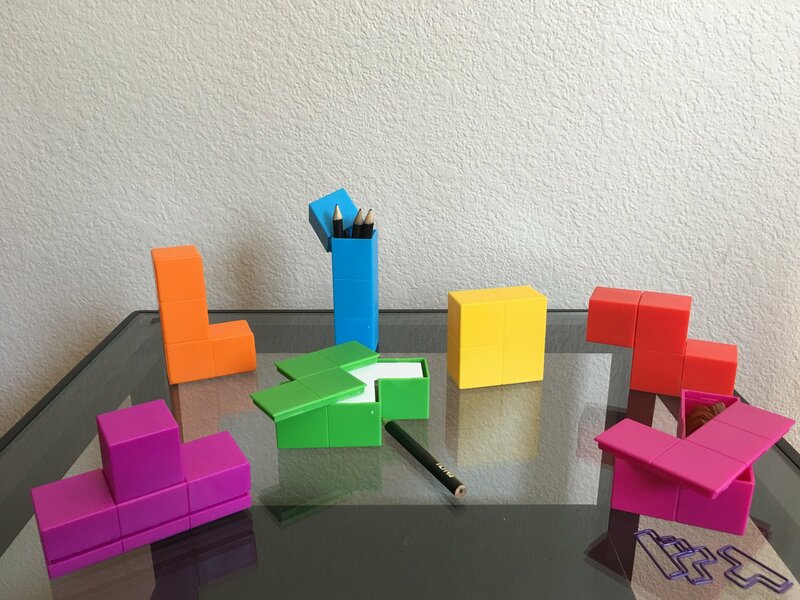 Improving your work day can be as easy as incorporating Tetris organization! The easiest way to add Tetris to your work day is through organization. For example, if you’re a college student, organizing the materials needed for class beforehand will help you be better prepared for your next set of assignments. Need a helping hand? You can even get your kids in on the Tetris organization process at home! On the flip side, keeping your desk neat and tidy at the office can help prevent unnecessary frustration. You know, like when you need a pen and a piece of paper to jot down notes, yet both seem to have mysteriously vanished. 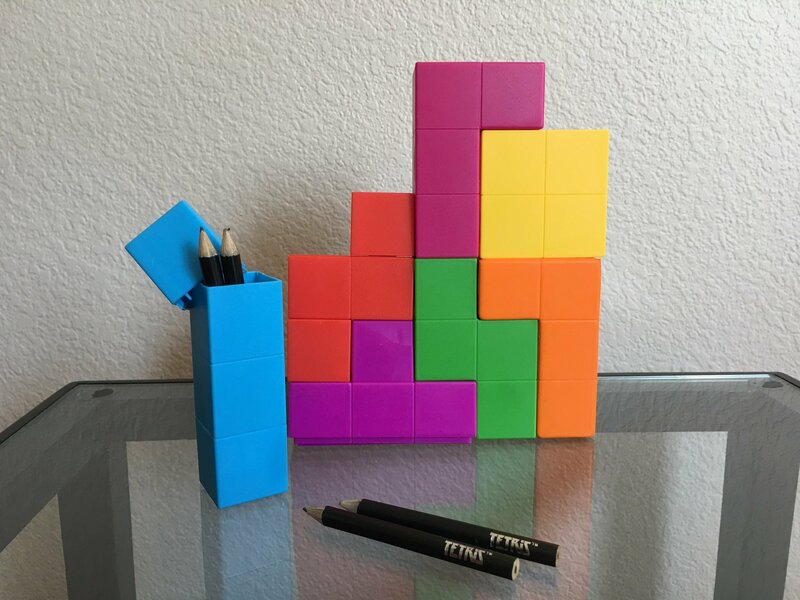 Try transforming your desk into a Tetris Matrix, and your office supplies into Tetriminos. Then, arrange everything into an order that best works for you. Just like in Tetris, there’s no right or wrong way to build your Tetris stack and clear lines. By creating a method of Tetris organization, you’ll find your day passes by much quicker! Another way to improve your day comes from turning boring tasks into a game of Tetris. Another great way to make work a little bit more fun is by turning it into a game. You may be wondering how sitting at the office, or watching over your kids at home, can transform into a game of Tetris. Surprisingly, it’s easier than you think! We’ve already covered how Tetris skills can help boost your organization, thus leading to a less stressful day. However, there are other aspects of work that could use a little sprucing up. For example, balancing your time, having a fulfilling break, and avoiding the traditional “afternoon slump.” When it comes to balancing your time, Tetris is a fantastic coach. No matter which game mode you play be it Marathon, Ultra, or Multiplayer, Tetris is perfect for learning how to properly balance your time. In the game, there’s more to victory than building the perfect stack and clearing lines. As the game speeds up, or as waves of garbage get thrown your way, you’re forced to quickly shift your priorities to the latest task at hand. The same goes for your typical work day. While most of what you do will be standard, there will always be times where you need to shift your focus over to a different task. By thinking of work like Tetris, you turn it into a game. One where the quicker and more efficiently you complete a task, the more “points” you earn. As a reward, you can always set aside time for a Tetris break either on your mobile device with Tetris Blitz, or at home on the computer. Additionally, you can always bake yourself a batch of delicious Tetrimino cookies to nibble on as you go about your day. 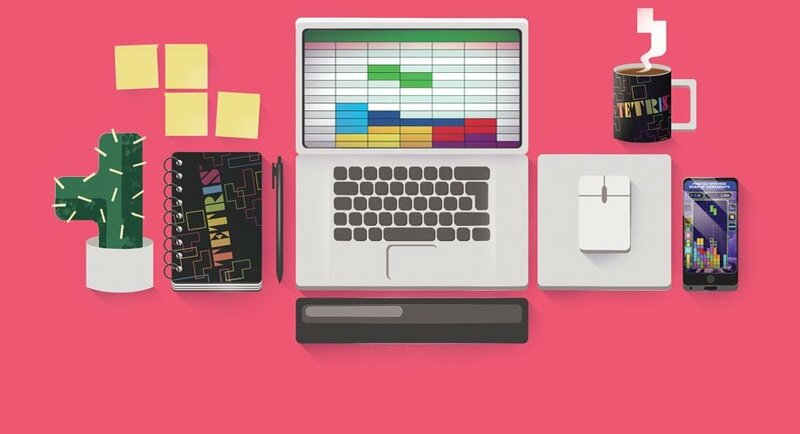 No matter how you decide to add Tetris to your work routine, the results will always be positive! All you need is a little creativity, and a little inspiration from Tetris. Looking to get a little Tetris practice in? No worries, you can click here to play Tetris for free right here at Tetris.com!